Winners for IOR 2019 Announced! Thank you to everyone who submitted an image, voted for the People’s Choice Award, and visited the Images of Research exhibit. See the Past Competitions page for more details. 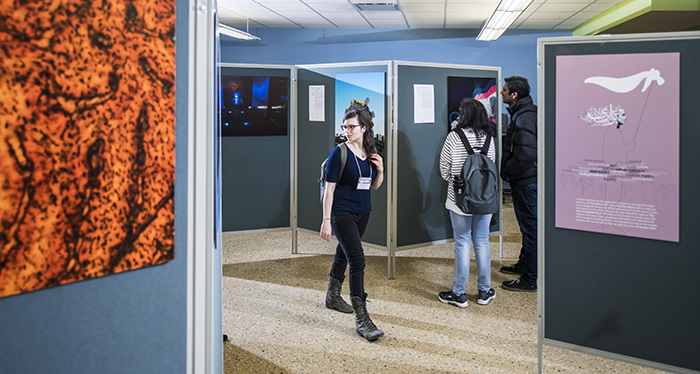 Visit the Images of Research public exhibition in HT Coutts Library, April 4 to 30, 2019. The exhibit features the winners as well as the top 25 semi-finalists. Submissions will be accepted from Monday, January 21 to Friday, February 8, 2019. Please see the Competition Details page for more information on eligibility, competition rules, and requirements, and access to the online entry form. Winners will be announced on April 3, 2019. There will be an open exhibit beginning on April 4, 2019. Selected submissions, including semifinalists, will also be printed and exhibited in the Coutts Library, as well as archived in the UAlberta’s open access institutional repository (ERA). Images of Research is organized by the University of Alberta Libraries (UAL) and the Faculty of Graduate Studies and Research (FGSR), and facilitated in partnership with Campus Design & Print Solutions . For any questions please see Frequently Asked Questions or contact ior@ualberta.ca. For technical help, email print@ualberta.ca.